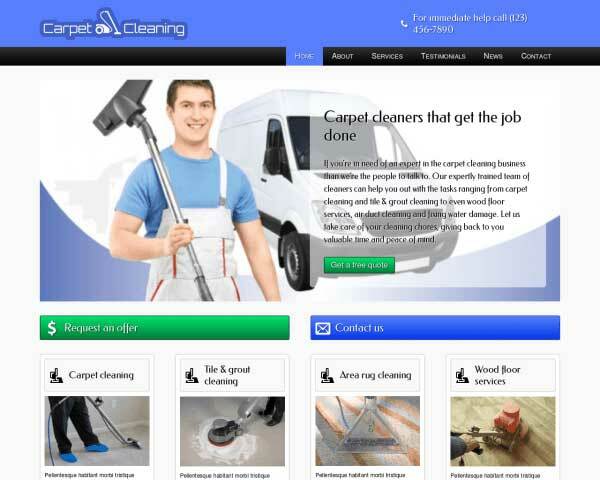 Just replace the text and photos in the Cleaner Business WordPress theme to get your cleaning services online fast. 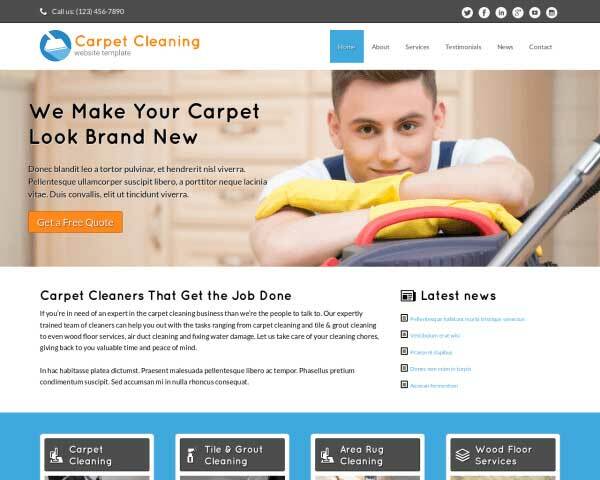 It's designed with everything you need to create a professional online presence for your cleaning company and convince visitors to become clients. 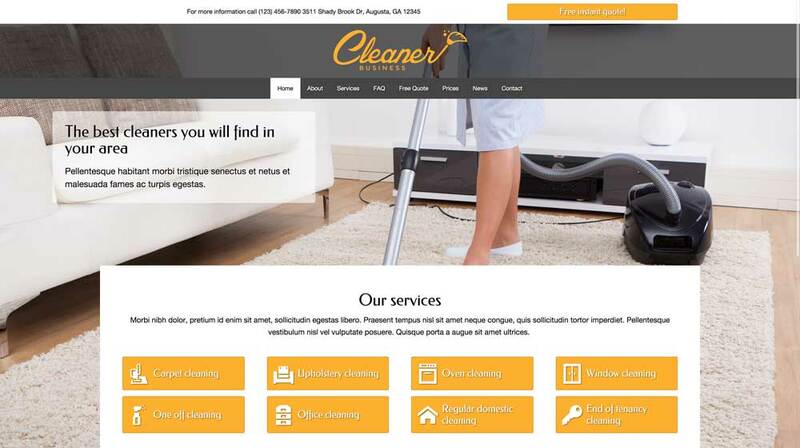 Don't just rely on word of mouth to bring in new clients for your cleaning company, use the Cleaner Business WordPress theme to promote your cleaning services online with a professional website! Designed with a friendly, inviting look and pages already set up for details about your services, FAQ's, contact info and more, all it takes to get your complete website online is to upload your own photos and replace the demo text. 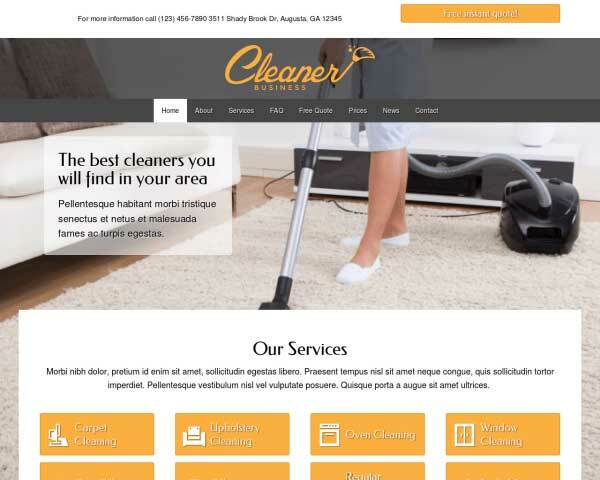 This premium website template for cleaners comes with premium business features like built-in rate charts, an online quote request form, integrated social media and an SEO manager to help you achieve higher search rankings. Customizing the color scheme and managing content requires no coding at all. You'll be able to easily personalize your site, update text and add blog posts even if you've never built a website before. 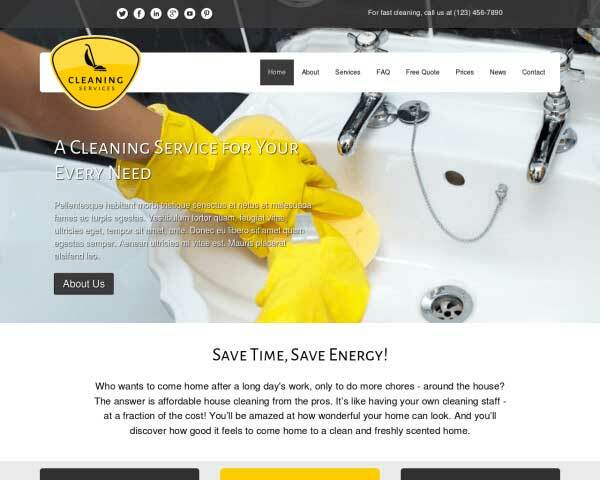 So take a look a the demo site and imagine the possibilities for your own cleaning company, and try the Cleaner Business WordPress theme risk-free for three days to see how easy it is to get your services online. One of the Cleaner Business WordPress Theme's main calls to action leads visitors of your website to a page where they can fill in an online quote request form. Easily customize the field as needed. 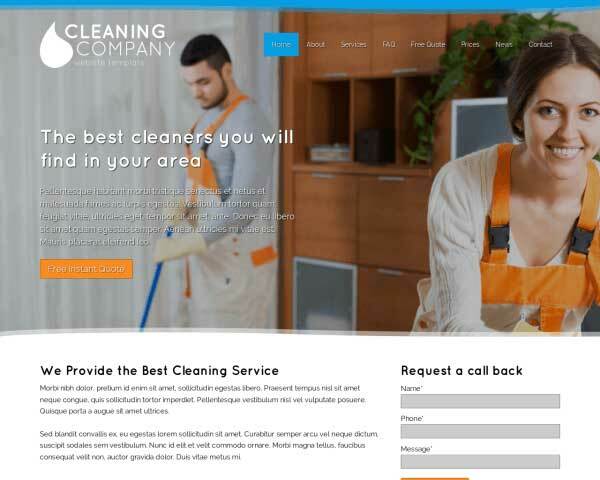 Before we began designing the Cleaner Business WordPress Theme, we went to cleaners to learn which features they'd like to see in a theme for this industry. The Cleaner Business WordPress Theme is beautifully designed to offer visitors a wealth of information in an organized manner, while allowing your own character to shine through. 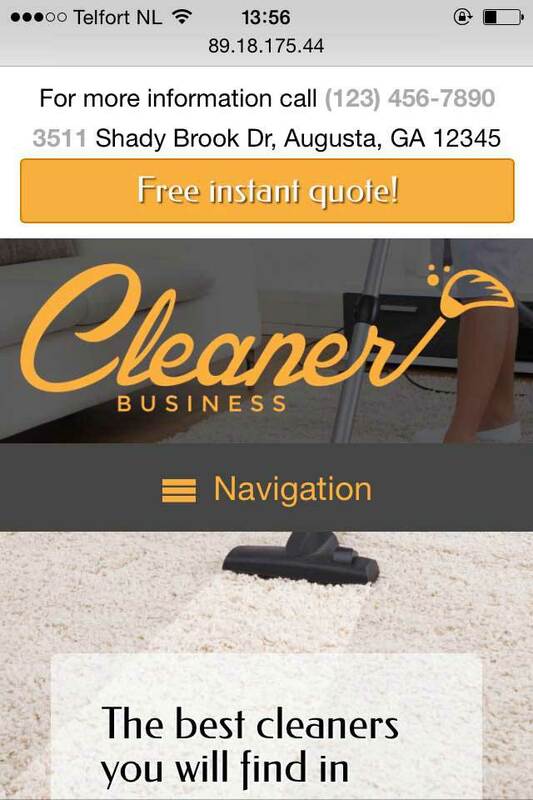 Offer answers to the most frequently asked questions on the Cleaner Business WordPress Theme's FAQ page. It's filled with placeholder text and ready for your own content. The Cleaner Business WordPress Theme contains already configured pricing tables, which can be easily edited to hold your own pricing figures. 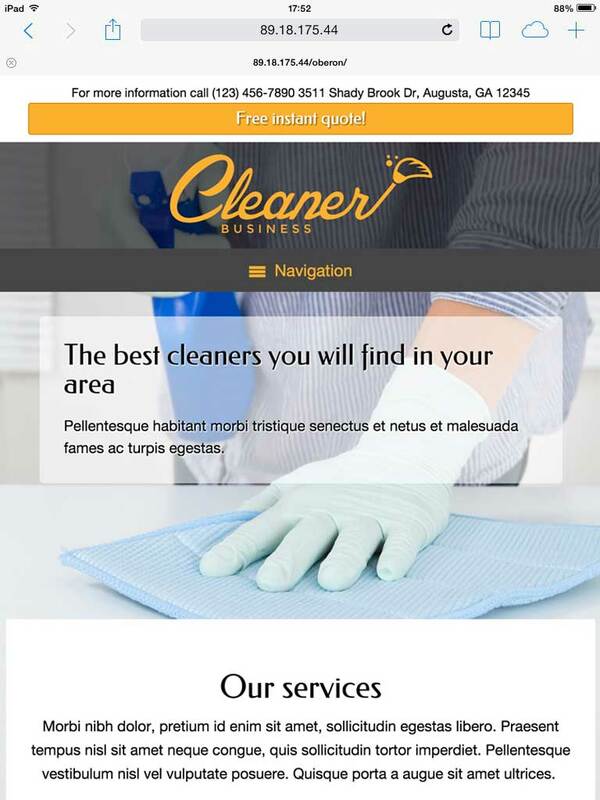 With the Cleaner Business WordPress Theme you have a quality tool to create elegant and appealing service detail pages with above-average layout and styling. 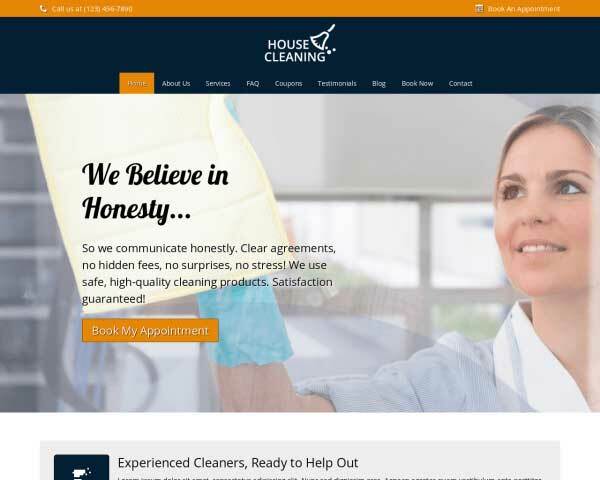 The homepage of the Cleaner Business WordPress Theme features a helpful overview with links to each of your services, offering clients a quick way to find out what you can do for them. No extra plugins are required to display sharing and following icons for the most popular social media platforms with the Cleaner Business WordPress Theme. 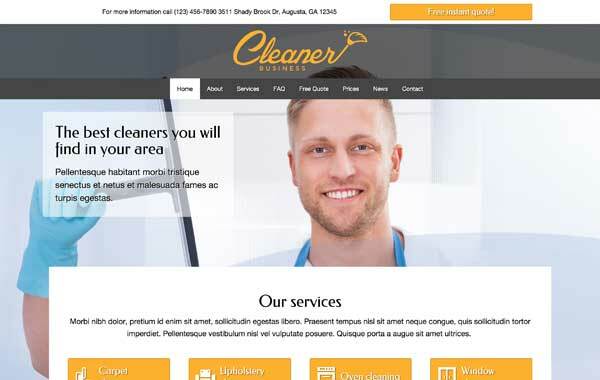 A clean, uncluttered mobile version of your website is part of the package when you start with this responsive Cleaner Business WordPress theme. Visitors using handheld devices to browse your pages will see the layout of your content adjusted to fit their screen, with the same professional design and functionality of the desktop version plus the ability to tap your phone number to dial. This premium website template is mobile-optimized to display neatly on any screen size even as you add new content and as new smartphones and tablets enter the market.